With famous screen composers for a father (Alfred Newman) and a brother (Thomas Newman)— not to mention his cousin Randy Newman!—David Newman has had quite the family tradition to uphold. But uphold it he has... and in his own uproarious way. Name your favourite comedy of the last 2-3 decades and chances are David Newman’s name is unspooling in the credits. Throw Momma from the Train, The War of the Roses, Other People’s Money, The Mighty Ducks, The Nutty Professor, Bill & Ted’s Excellent Adventure, Heathers, The Freshman, Honeymoon in Vegas, Ice Age, Girls Trip...all his. With famous screen composers for a father (Alfred Newman) and a brother (Thomas Newman)— not to mention his cousin Randy Newman!—David Newman has had quite the family tradition to uphold. But uphold it he has... and in his own uproarious way. Name your favourite comedy of the last 2-3 decades and chances are David Newman’s name is unspooling in the credits. Throw Momma from the Train, The War of the Roses, Other People’s Money, The Mighty Ducks, The Nutty Professor, Bill & Ted’s Excellent Adventure, Heathers, The Freshman, Honeymoon in Vegas, Ice Age, Girls Trip...all his. 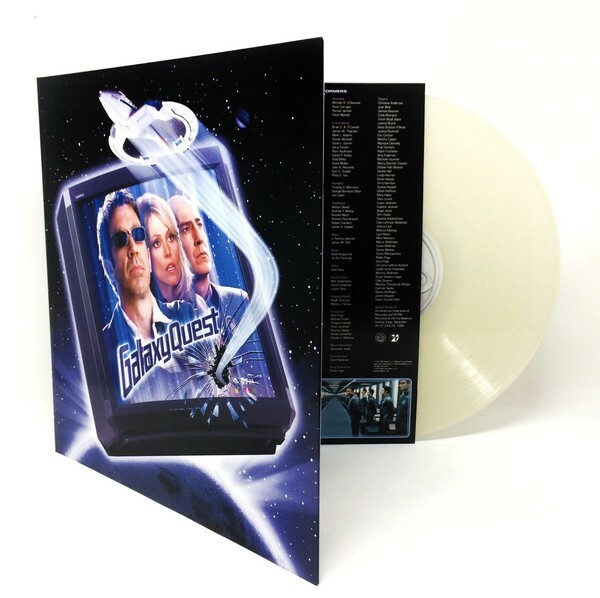 But perhaps his best-loved score of all is the one he composed for the 1999 sci-fi action/comedy Galaxy Quest starring Tim Allen, Sigourney Weaver, Alan Rickman, and Sam Rockwell. 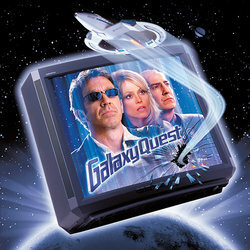 While the film was definitely a comedy, it also moments of genuine drama and action-filled suspense (which in part explains why Galaxy Quest is such a cult classic), and Newman deftly balances both sides with a score full of big choral passages and stirring themes. 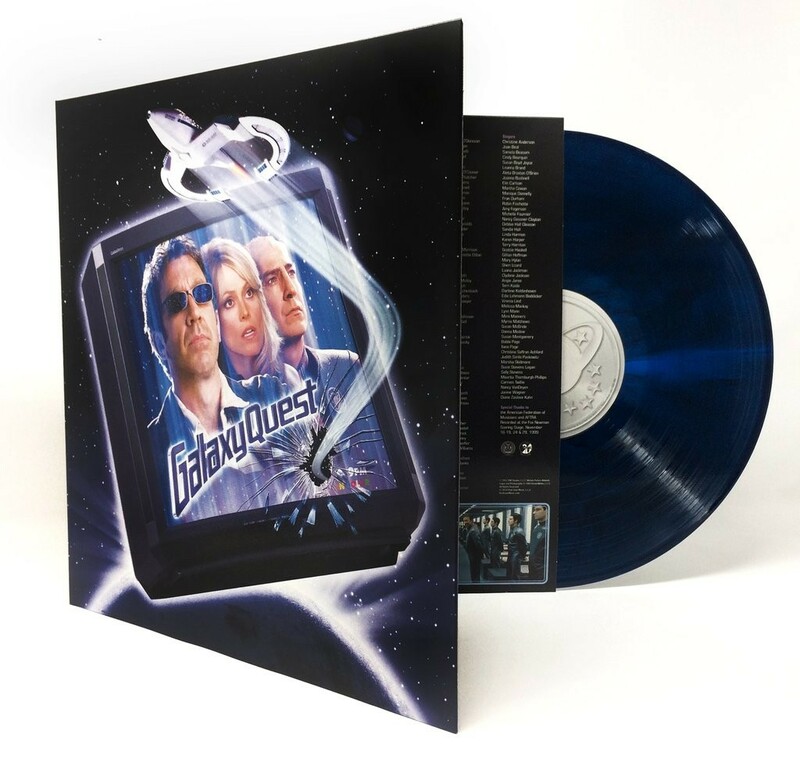 For its maiden voyage on vinyl, Real Gone Music chose the extended version of the Galaxy Quest score that first appeared on CD in 2012, housed it inside a gatefold jacket boasting copious production stills, and pressed it up in blue “galaxy” vinyl...limited to 1400 copies! For four years, the courageous crew of the NSEA protector - 'Commander Peter Quincy Taggart' (Tim Allen), 'Lt. Tawny Madison' (Sigourney Weaver) and 'Dr.Lazarus' (Alan Rickman) - set off on a thrilling and often dangerous mission in space...and then their series was cancelled! Now, twenty years later, aliens under attack have mistaken the Galaxy Quest television transmissions for 'historical documents' and beam up the crew of has-been actors to save the universe. With no script, no director and no clue, the actors must turn in the performances of their lives.